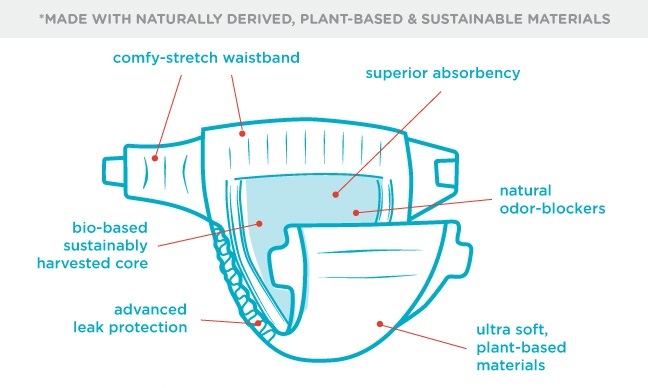 The Honest Company Honest Diapers are made with naturally derived, plant-based and sustainable materials. Exciting print and packaging refresh! Introducing more prints in a pack that has a new look and feel. Super-absorbent with soft, gentle materials made without chlorine processing and additives (like fragrances, lotions, and latex) – gentle on baby’s bottom! Made with a plant-based inner and outer layer, Honest Diapers are premium diapers are available in adorable classic options. Don't forget to pick up Honest Wipes and Soothing Bottom Wash! Since using these, son rarely ever has any leaks or explosions... super absorbent! 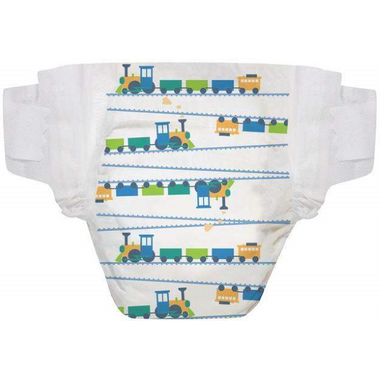 Love these diapers & the design is too cute! We love the Honest Co diapers for our 14 month old. They haven't leaked so far and they last over night. All we have used to diaper two kiddos are Honest Co diapers. I like that new patterns have been released for purchase in Canada too. We love these diapers for our 8 month old son. Fit great and very few leaks. These new designs are a bit larger than the previous version, so we still have a few more weeks in this size.